Had a great Thanksgiving: watched the parade in the morning, ran dogs, then had turkey dinner with the family. The dogs got turkey with their dinner too, and this morning, all the dogs and I were still a little sleepy from all the turkey. We are still in the midst of the biggest storm I have ever seen in my life! We have tons of snow, so much that we can't get to one of our trails because the roads are either closed or impossible to get through. Solid negative temperatures and snowfall. At least the wind hasn't gotten too horrible... yet. The dogs are more thrilled about it than I am. Looks like it may start clearing up by Thanksgiving, thank goodness! Wednesday we ran for the first time on sleds. We ran two teams. They were sooooooo excited that Tut and Otter broke their harnesses just by pulling on them so hard! Since there is too much snow at Castle Rock Creek and the longer Mill Creek trail is a little too long, we have been training on roads in the valley. We do a 15mi loop. 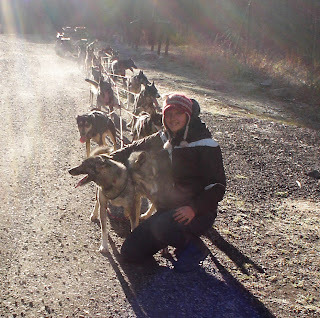 Wednesday, we saw a musher friend and his team on this trail. Here are some pictures from our runs there on Wednesday and Friday. On the trail on Fri.
After the Run on Fri. 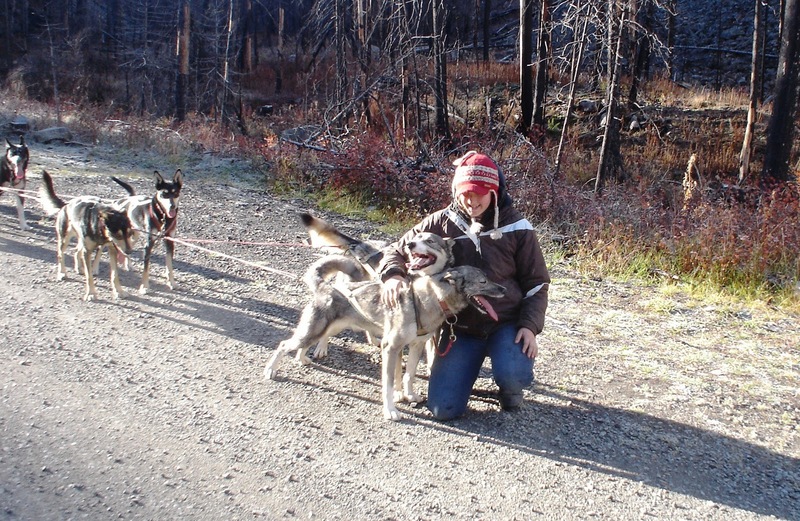 I would like to give a big thank you to the Hamlin family for their generous donation towards my 2011 Alaska trip for Jr. Iditarod and Jr. Quest! This family also was a big help in the rescue of some of my sled dogs and others back in 2008. One of our cats, Lynx, will bring things that she has killed to the front door for us. The last few times she has decorated them. Maybe we've been watching too much Iron Chef, because she would get a lot of points in her plating. Saturday, my mom, dad, and I went to the Bozeman Museum of the Rockies to do a sled dog presentation/demonstration. We took Jasper, Cessena, Tut, Annie, Chewy, and dad's old leader, Lori. It went very well; however, the museum is right next to the college football stadium. At the end of the presentation, we had the excitement of a jet fly-over and fireworks in the field next to where we were. The kid we were babysitting for the day, Zeke, and all the dogs hit the ground. Good thing it only lasted a few seconds! Dad also took the team around a small loop on the grass. 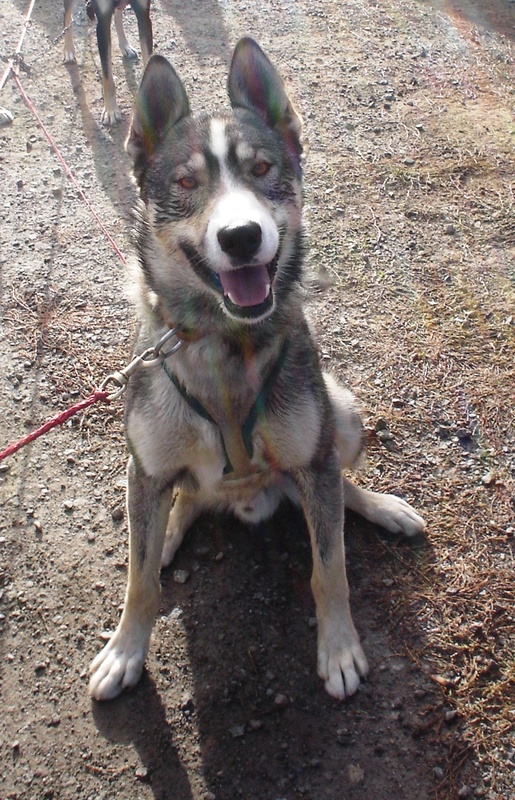 I did this on a sled dog talk forum a little while ago. We were supposed to describe each of our dogs with one word. Here are mine! Last night, JB helped me put away his agility equipment for the winter: 3 tunnels, 3 jumps, weave polls, and a pause table (tire with a piece of plywood) If anybody has a dog walk, a-frame, or teeter-totter (or any other obstacles) that they are willing to part with, contact me at my website: http://www.jennygreger.com/ These contact obstacles are JB's favorites. On the 1st, we ran 10mi at Mill Creek. Otter and Emmett, Otter's 16.5 month old son, ran in lead. Emmett was pretty proud of himself. This was his first 10mi run in lead.